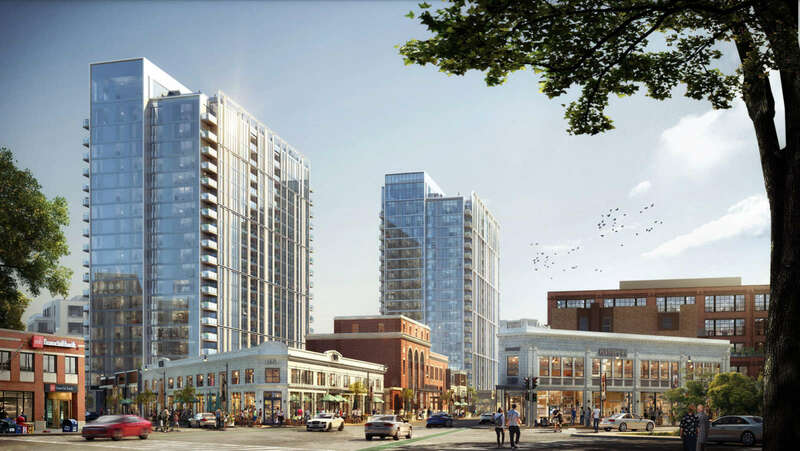 Lincoln Common is a massive, mixed-use development coming to the popular Lincoln Park neighborhood. 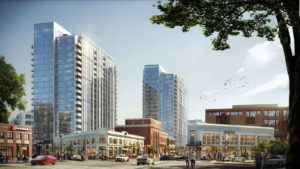 Lincoln Common is being developed by McCaffery and Hines Interests and designed by Skidmore, Owings & Merrill, the same firm which designed the John Hancock Center. 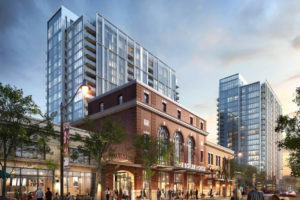 When completed, the mixed-use development will have 100,000 square feet of retail, 538 rental apartments, 40 luxury condos, a 5-story boutique office building, an 850 stall parking garage, a senior living facility with 156 rooms, and over an acre of open space, according to the developers’ website. Studio, 1 bedroom, 2 bedroom, and 3 bedroom apartments will be available for rent. This transit-oriented project will be in close proximity to the Fullerton stop on the CTA red, brown, and purple line trains as well as bike lanes, and will provide a bike and car ride share program. Lincoln Common is seeking LEED certification and will have 50% green rooftops. Lincoln Park is known for its bustling nightlife, tree-lined streets, boutique shops, and some of the oldest restaurants frequented by native Chicagoans. With its pubs, summer street fairs, theater, bike trails, and historic buildings, Lincoln Park has entertainment options for everyone. Lincoln Park is also home to some of Chicago’s most recognized artistic spots and vibrant music scene. 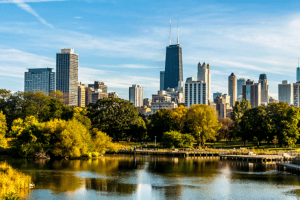 Some nearby attractions include the Lincoln Park Zoo, Fullerton Beach, DePaul University, and art house movie and improv theaters. Lincoln Park is north of downtown, making it less frequented by tourists and sprinkled with some of Chicago’s oldest gems, including restaurants, taverns, music lounges, and quaint coffee shops. Looking for luxury apartments for rent near Lincoln Park? Contact us today! We’d be happy to keep you in the Loop!